Discussion in 'Tuning World Bodensee 2019' started by Robert Wiesenmüller, Feb 7, 2019. He tried to serve the penalty on a long straight between two bends by lifting off the gas, and he moved off of the racing line to do it. Seems like a logical way to serve a penalty to me. Please explain, what should be 'obvious with a little bit of preparation'? the race line after the first Corner is very wide and to short to serve the slow down. Theoretically no part of a track should be too short since you can lose 2 seconds by going slow in any corner/straight and the bit between turns 1 and 2 certainly allows other players to see you in time and pass safely. So why should he wait any longer and risk the time penalty increasing (unless thats been properly fixed by now)? Just to say thak you to the staff for all these awesome moments I had during this eSport event ! And special congralutations to Tomas Gego and Malte Shneider for this big big epic fight we had almost all the race at Hockenheim. It was really tight and very virile in few moments. Well ... Malte closed the door on me on last corner, and I lost the car, but I pushed him a bit on turn 12 a few meters ago, so kinda 50-50. I could finish the race in 5-7th, but the multiple slow-downs plus the contact with Malte ruined my race. I even lost the car by myself on the last lap, I was really frustrated ^^. Still finish 14th. 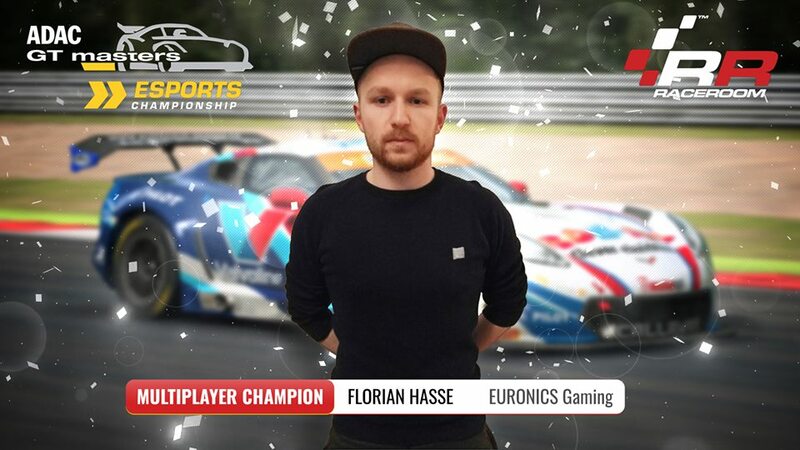 Congratulations to Florian Hasse for winning the online multiplayer championship! I would like to thank all participants in this season. It was a nice one. A new set of rules for final will be released today or tomorrow. We had to adapt some rules. Invites for final have been sent!